I don't wear a lot of jewelry on a daily basis. There are two pieces I wear everyday. A silver ring that I got from my parents and a pair of subtle earrings that I pick out each morning. I sometimes add a nice watch and that's it. But there are days especially in Spring and Summer when I wear a lot of bright statement necklaces and bracelets. In these photos you can see my favorite arm candy all year 'round. I like beads, animal prints, gold, silver and tassels. 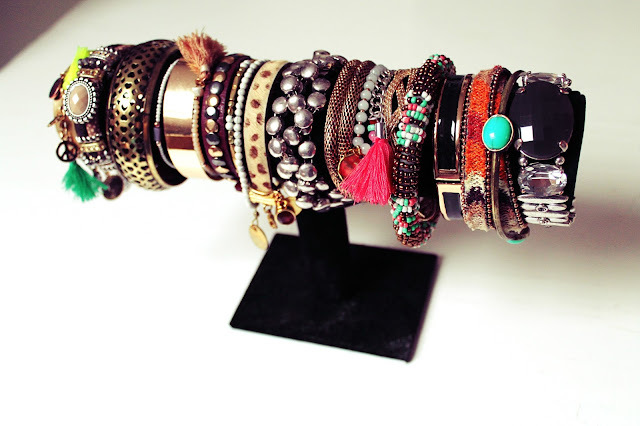 Basically any type of bracelet! When it comes to jewelry I don't care about brands but I do have a preference for items from Costes, Sacha and H&M. Mainly because those stores are always on trend and not super expensive which means I can invite different pieces to my arm party each season! My two trick to effortless but put together bracelet stacking? Match items that you wouldn't think of pairing at first! 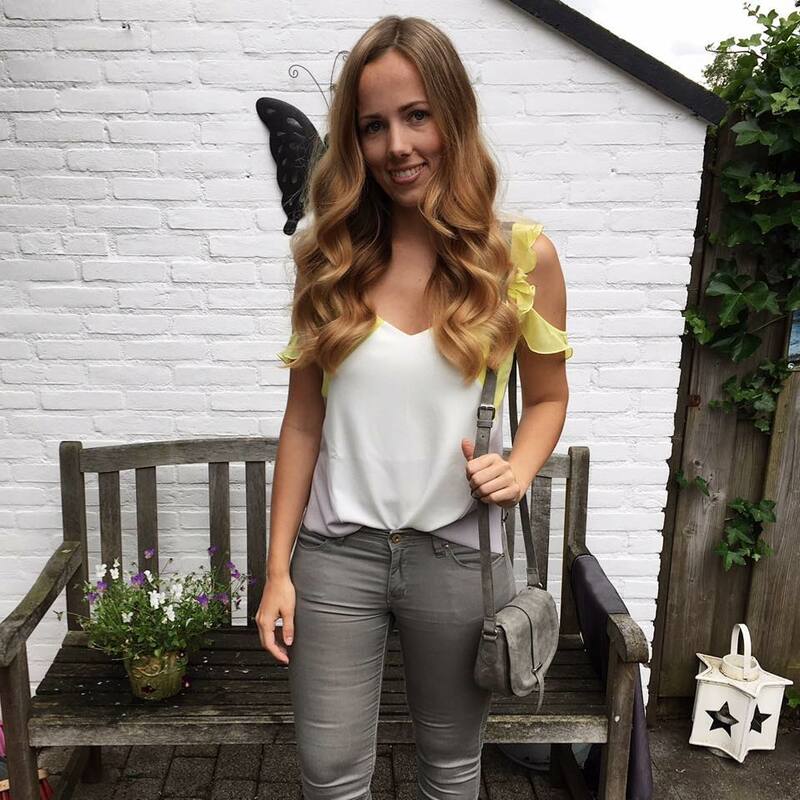 Don't be shy, you can definitely pair different colors, textures and sizes. But make sure there is only one eye-catcher, that gets supported by the other ones. 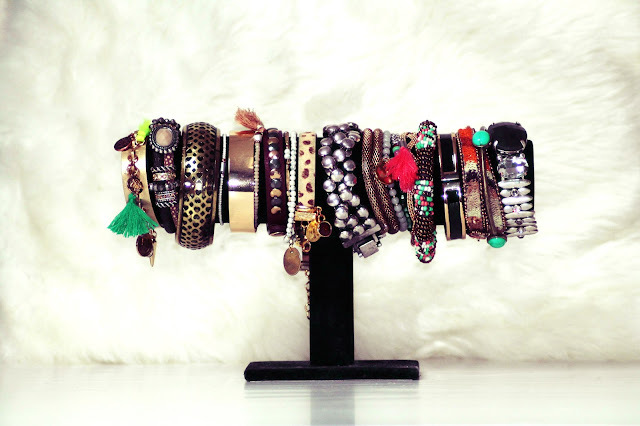 The cute black bracelet holder is from Xenos but you can practically find a similar one in any store. 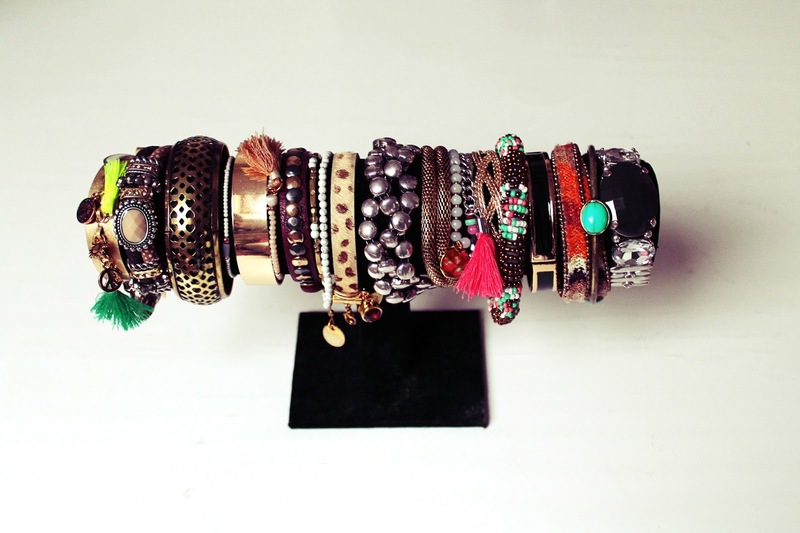 How do you keep your bracelets organized?